In his post on nearby Coomcallee, Skyehigh mentions the farm track in the Glenmore valley to the south. I used this to reach Beann na Stiocairì. A slow and scenic drive along several kilometres of narrow road through the valley from Waterville ends at a farm. 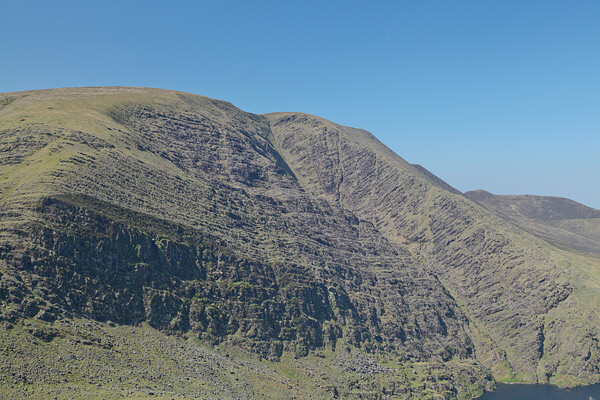 The rough southern slopes of Beann na Stiocairì to the north can be appreciated along the road, while the equally rough and rugged slopes of the Beanrour-Mullaghbeg-Eagles Hill ridge of hills fills the views to your right. I was readily granted permission to park in the farm by the friendly lady there. A cow and two collies in the farmyard watched me as I parked - the cow with languid interest and the collies with frantic uncontained excitement. One of the collies wasn’t tethered and decided to accompany me on my walk – all the way up the track to where it emerged onto the broad ridge at about 600m. Along the way the collie disappeared several times and I spotted it intermittently herding sheep across the slopes in my direction. It correctly interpreted that I was impressed with this private ‘’sheep dog trials’ show, and tried harder still until several sheep were paraded in front of me. A cartoon I had seen sprung to mind. Two sheep are in a field with a collie at one end and a farmer at the other. One sheep turns to the other and says ‘I’m telling ya, I might be paranoid, but these guys are definitely working together!’ Back in real life the befuddled sheep continued on their way, as did I. At the top of the track the dog took off back down the hill after more hapless sheep. Initially the track passes through gates as it rises from the farm, and is clearly used by farm vehicles to access the lower slopes. However from around the 300m altitude mark it gets steeper and the last kilometre was tough enough make me stop for breath several times. Once onto the broad ridge it was a straightforward slog up through the bog onto Beann na Stiocairì and An Bheann Mhòr. An initial wet track through the bog on the ridge disappears after it passes through a gate but navigation was straightforward enough. 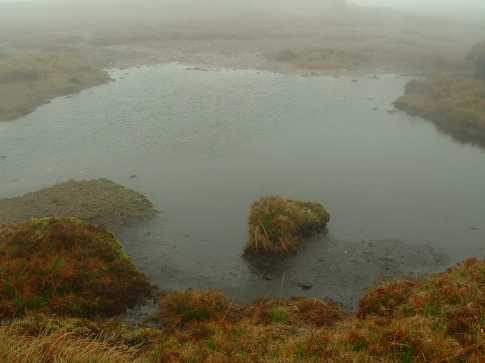 The summit area does not have an obvious ‘highest point’ and as Colin Murphy said in his post, a bit of slogging around the wet boggy area will be required of the purist. 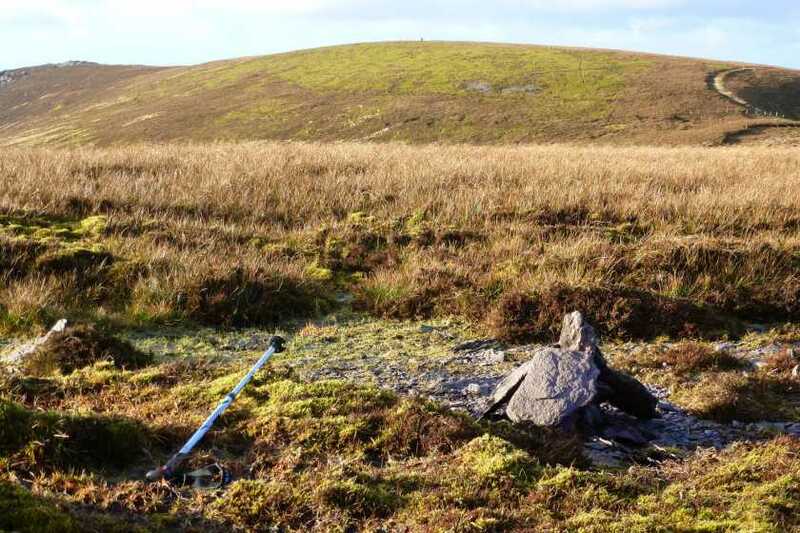 The simple boggy nature of the summit of Beann na Stiocairì belies the steep rugged slopes to the north and southwest.. 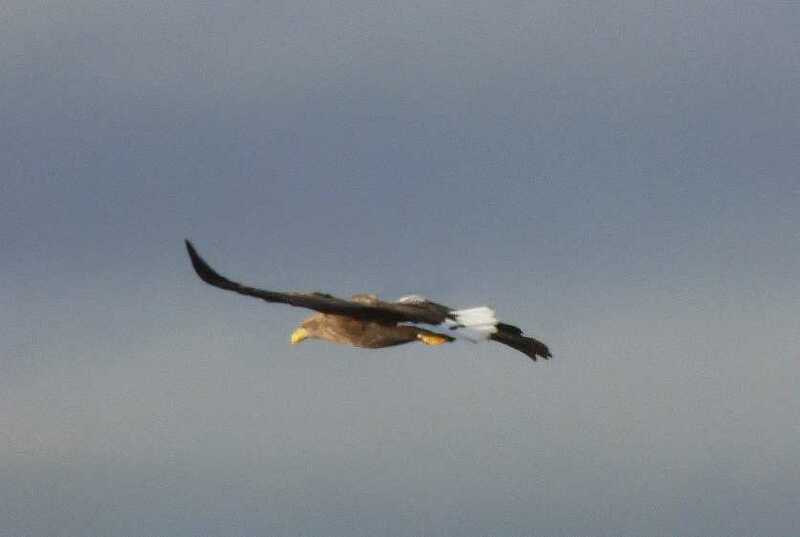 In between intermittent rain and cloud enough could be seen across the Glenmore valley of the rough slopes of Staigue, Mullaghbeg and Eagles Hill to see why White Tailed eagles have set up home in this area. 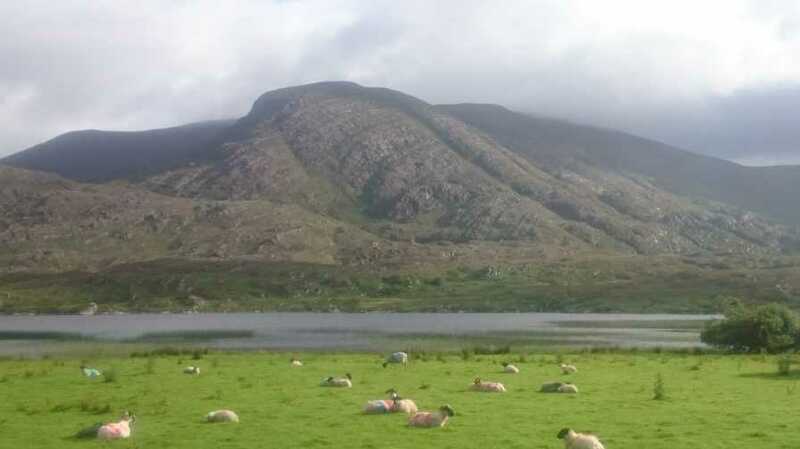 I didn’t see any but could easily imagine them gliding and swooping in this remote corner of Kerry. 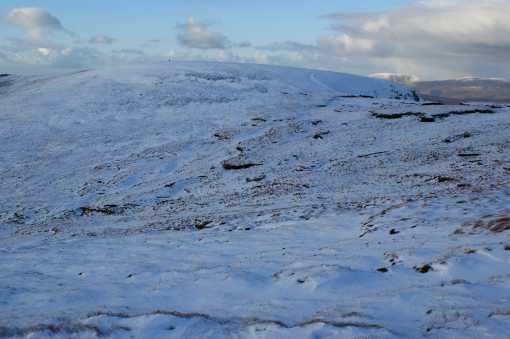 Picture from simon3 : NE side of the summit. Picture: NE side of the summit. Why you shouldn't go north from this summit.